Here's a new layout that's up on the Paper Bakery blog today for a team up with Elle's Studio. One of my favorite new Elle’s products is the 12×12 papers. 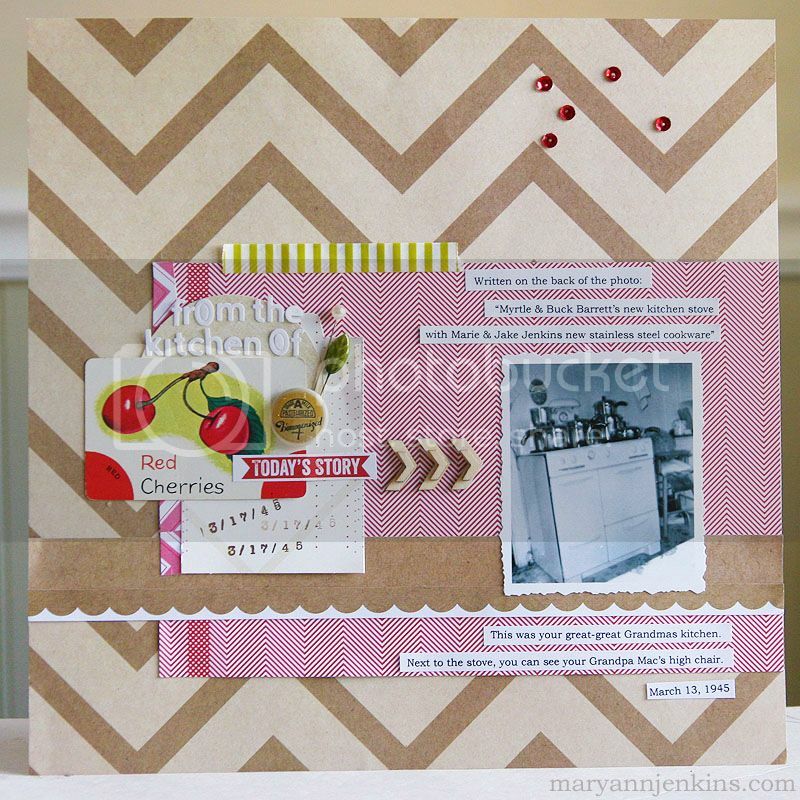 As soon as I saw this cute chevron design from the Day to Day collection, I fell in love! I paired it with the smaller red chevron paper from the You & Me collection and a circle & tab card (also by Elle’s Studio!) 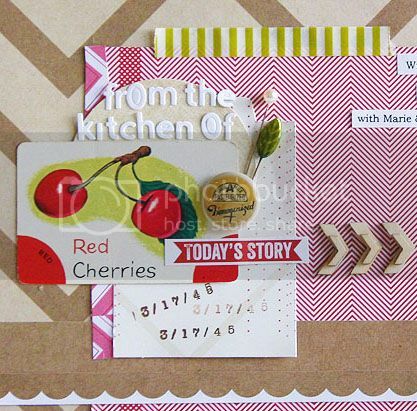 and then added some of the fun exclusive Paper Bakery items like the darling milk cap flair and the cute cherries card from the “Soda Shop” kit. I love the vintage feel of the layout, and the Studio Calico chevron wood veneer were perfect to “point out” the old black & white photo from the 40′s. Thanks for stopping by today, I appreciate the visit! great layout Mary Ann!!! love the vintage vibe it has! Yeah! What a neat lo! Love it! Love this layout...especially the pops of red! Beautiful layout!! Love that tiny red chevron!! Nice layout and great colors! Ooh, I love Elle stuff and that background paper is awesome! Terrific job on the layout. Very cute layout and I totally get the vintage theme. Love this one Mary Ann!! Awesome use of that Chevron pattern for your background! !